Are you looking for the best in DJ lighting packages this year to give your performances that much needed creative lift without breaking the bank? Then you’re in the right place. 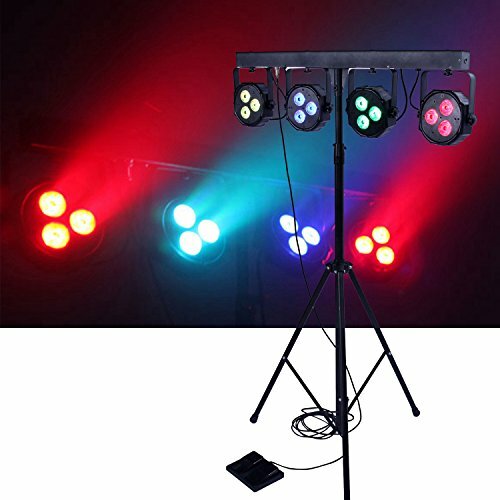 We’ve compiled the best in deejay lighting packages right here for you only at DJ Equipment HQ. The DragonX 4 Bar LED mobile DJ lighting package takes first place in our best DJ lighting packages roundup. It’s a great all-in-one LED Wash system that’s simply ideal for any DJ who’s looking to improve their performance experience. 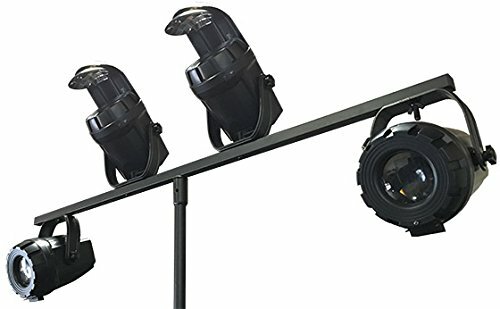 The system comes complete with a 4-head bar lighting system each with 3 Tri-RGB nine-watt LEDs. This amazing 3/15 channel system comes with a 2-pedal foot control switch, a sturdy and stylish adjustable tripod, a handy bag and even a transport case. Not bad for less than two hundred and fifty dollars we’re sure you’ll agree. 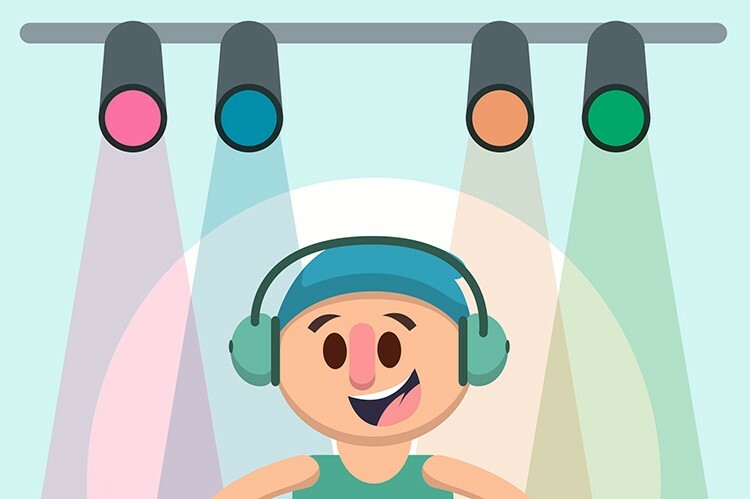 Vivid colors are achieved with these awesome DJ lighting package LEDs that will last a whopping 50,000 hours of performance time. And with more than ten pre-programmed scenes you’ll be wowing your DJ set audience in no time. In second place is the Chauvet DJ GIG BAR LT With Moonflowers Package. This awesome DJ lighting package features a great pair of moonflowers at either end of the bar, a fantastic pair of LED pars and with 4 strobe lights; all on the one bar to keep your DJ lighting down to a minimum with maximum jaw dropping lighting effects. All the heads are interchangeable too and fully adjustable so you can literally cover any sized room for your DJ set. It comes complete with a DMX-512 controller which is used for the LED lights, a handy carry case and of course the tripod. 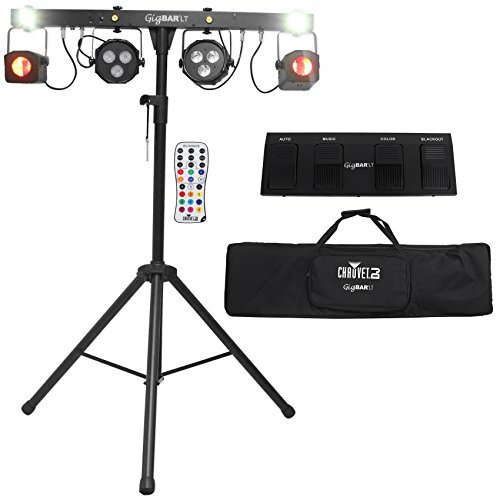 Although a little more expensive than our first choice above, if you’re into adding strobe lights to your LED rig this is the DJ lighting package to get. Third place in this best dj lighting packages roundup goes to the Micro Moon Burst flower DJ LED Lighting System Package. We really like the look of these Adkins professional moonflower DJ lights. They are really top quality as you’d expect form Adkins lights. Each light has multi-colored beams that even move backward and forward over the sound of the tunes. On the bar are 2 Adkins micro moonflowers along with 2 moonflower burst lights. The 9 foot tripod is impressive as well. These lights will run for 20,000 hours and with very low temperature. How do the lights literally dance to your DJ sets? Well, this DJ lighting package comes with a built in microphone that allows for this nifty bit of tech.